At Google I/O’s Android keynote yesterday, product manager Hugo Barra mentioned the company would be working with mobile manufacturers and providers to curb any division the brand is experiencing. Despite Android’s incredible breakthrough into the mobile scene, it unfortunately hasn’t been able to entirely escape those infamous fragmentation issues Steve Jobs warned us all about. It’s an unavoidable problem for a platform such as Android. Users are bound to get stuck waiting for their phones’ manufacturers and carriers to independently give an update the go-ahead. And with the number of Android phones only growing, it’s increasingly difficult to implement a smooth, simultaneous OS upgrade. Various carriers and devices have experienced these growing pains when it comes to Android upgrades. Motorola admitted at this year’s Mobile World Congress that it had botched its handsets’ Froyo and Éclair updates, T-Mobile has made statements saying it originally mismanaged rolling out updates, and Samsung has secured itself the spot of worst Android manufacturing when it comes to new operating systems. There were even claims that the manufacturer was purposefully holding off on Android users because of carrier disputes, and most recently it had to delay the long-awaited Gingerbread upgrade for the Galaxy S. It’s an issue Google is well aware of, and has been for awhile: Last year, Google announced it would try to alleviate some of the upgrade pain when it introduced Froyo, which didn’t solve the big picture problem. 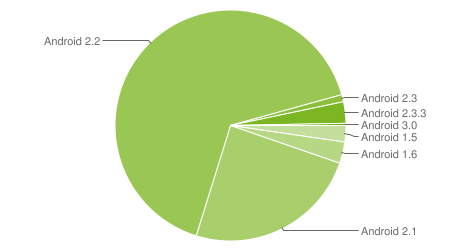 According to the Android Developer’s blog, about 66 percent of users are operating on Android 2.2 (Froyo) and nearly 25 percent on Android 2.1 (Éclair). A measly4 percent are using Android 2.3 (Gingerbread), although many manufacturers are telling consumers this update will be rolling out shortly. But considering how many Android users are still waiting to get Gingerbread, how long is it going to take them to get Ice Cream Sandwich? Simply put, it’s a bit of a mess. How quickly updates come after a new OS is introduced is completely undetermined thus far. 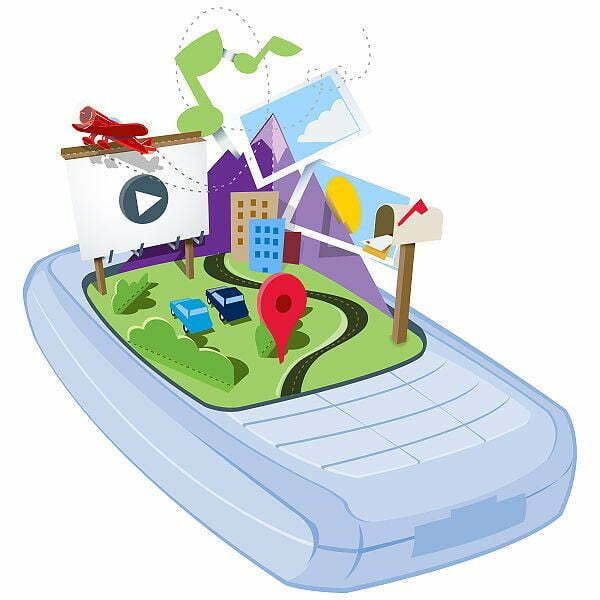 It’s uncertain whether this new policy begins now or once Ice Cream Sandwich is introduced (FYI: There is no Honeycomb for phones – Ice Cream Sandwich brings Honeycomb features to the phone). What if a user buys a phone 10 months after it’s been on shelves – do they only get eight months of guaranteed upgrades? According to Google’s blog, the initiative’s partners will be “working together to adopt guidelines for how quickly devices are updated after a new platform is released.” It’s great, inspiring news for Android users – but know that this is a step in the right direction instead of a guaranteed solution, and the details are vague at best.